Did Kombucha Tea Lower Cholesterol? 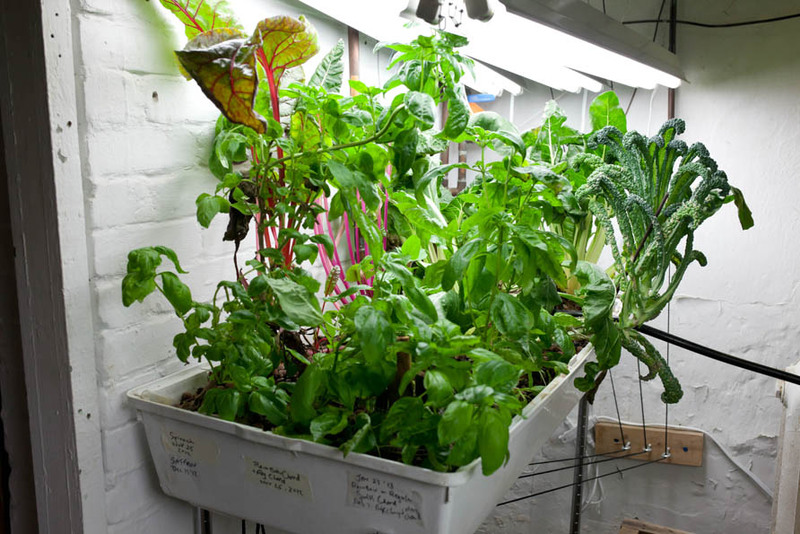 DIY Aquaponics Workshop this Sunday! Kale Jerky, better than potato chips! Welcome to Freestyle Farm's Luncheonette! Serving authentic Shanghai wontons & scallion pancakes for takeout Monday to Friday, from 11am-2pm, or until we run out. 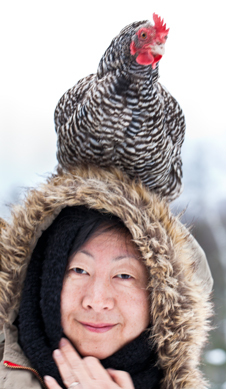 I am Jill Chen, a designer, food stylist, photographer, urban farmer and now chef at the Luncheonette. When I'm not making food or photographing food, I'm growing food year round in my basement. Kombucha, mushroom cultivation, aquaponics, and a mini backyard orchard are just a few of the projects going on at the “farm” right now. Thanks for stopping by! 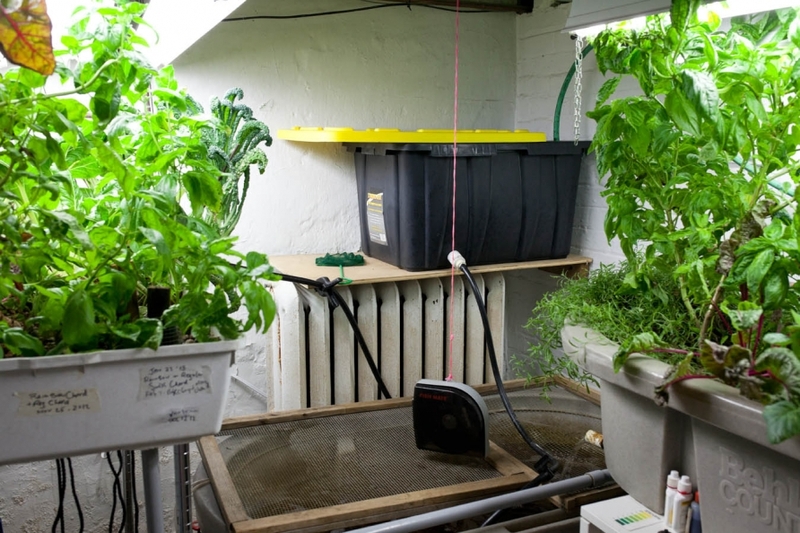 Our basement aquaponics system has been continually producing for a year and a half now. Even during the ice storm, where we were without heat and hydro for four days, the tilapia and plants survived. Fish metabolism slows down considerably when water temperatures dip below 55•F, they stop eating and require less oxygen. Recirculating a few buckets of water through the grow bed twice a day was enough to keep the tanks clean and oxygenated. Over the course of the year, the most success I’ve had was with Fordhook Giant Swiss Chard. This versatile vegetable has been producing non-stop, sending up a never-ending supply of leafy greens, a perfect substitute for spinach. Collard greens and kale have also done well. Screens are necessary to keep fish from jumping out. An automatic fish feeder hangs over the 100-gallon tank. Once a week I would lug heavy 5-gallon buckets of water from the laundry room to top up the tanks, loss due to evaporation and plant uptake. I also went through a lot of water conditioner ($10 a bottle) to dechlorinate the water. As you can see in the above photo, Hubby so kindly rigged up a holding tank (black plastic storage container and garden hose) which I keep filled with a turn of a tap. After a day or two , the chlorine dissipates. Water from the holding tank is gravity fed into the fish tanks with an on and off valve. No more lugging water! ♥ Thank you Hubby. Daily maintenance means having a quick glance to see that the bell siphon is working properly, and water is flowing in and flowing out correctly. 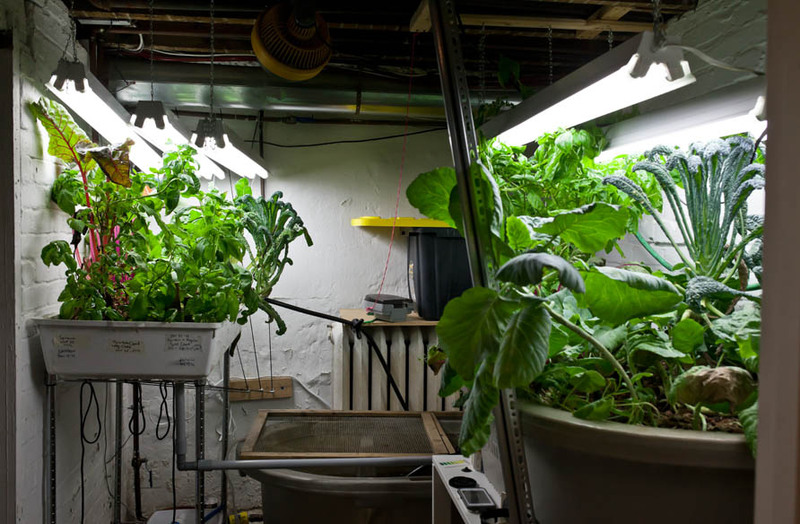 If the grow bed isn’t properly flooding and draining, the water will be dirtier than normal and smell a little fishy, a sign that something is not right. Basil is also in constant supply. When they get too big and unruly, I snip and stick a sprig in the grow bed where it grows into another huge basil plant. Aquaponics is a closed-loop soiless system, fish poop doesn’t contain essential minerals so you need to supplement. This is glacial rock dust. Without it, your leafy greens will not be so green and healthy. About once a week, a few tablespoons mixed with water is added right into the grow bed. It’s also great in the garden to replenish the soil. Out of twenty tilapia from my original basement aquaponics post, we are now down to three fish. Some we ate, some were jumpers. I’ve learned that tilapia are better in large groups. No one is singled out and they all blend and hide amongst each other. As soon as the numbers go down, they get territorial and aggressive. Just like chickens, there is a pecking order. I’ve seen flanks and tails with bites missing. We are currently trying to mate the remaining three. No more fish dinners until they reproduce… if successful, we’ll have a year’s supply of fish! Bev - Wonderful! My own basement system is just 3 months old, but I feel like every house should have one now. In all my research I haven’t come across anything about glacial rock dust before. I add iron, but nothing else. Judging by the look of your plants, it’s worth doing! Mark Arienda-Jose - What’s the trade-off for electricity consumption with running your aquaponics system? Are you guys supplementing with solar energy? Heard you were planning a workshop, add me to the list please, very excited. Are you using a filter for your fish tank? I’m wondering of it’S good to filter the water. Brian - I so want to do what you are doing in my basement. I grew lots of veggies with hydroponics, but the nutrients were a little too expensive for long term small scale use. I am interested in setting up a system for greens and tilapia. Wondering if you have an equipment list? We are in Ontario. Not sure where your fish supplier is located? I would like to buy about a dozen of baby tilapia to try. do you know any where that can sell small amount?